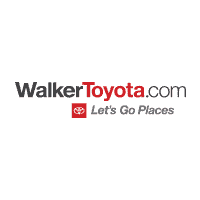 Convenience, positivity and efficiency are what we aim to deliver to all our customers here at Walker Toyota. We not only take pride in offering drivers throughout Miamisburg, Dayton, Middletown, Cincinnati, Springboro and beyond exceptional new and used Toyota models, but we also love offering up the expertise of our onsite service and repair center. Because we love making every aspect of doing business with us easy, we’ve created a simple tool to schedule a service appointment for your vehicle. All you’ve got to do is fill out the required information and we’ll make sure we pencil you in as soon as possible. You can always count on our helpful, expert team of service representatives and technicians to take on any kind of service or maintenance issue with the tender love and care that your vehicle deserves. We know you thoroughly rely on your vehicle to get you through your busy days, and that’s why we’ll always work our hardest to ensure its returned to you in a timely manner and in excellent working order. Whether you’re due for something simple like an oil change and tire rotation, a state inspection sticker, new windshield wipers or something more pressing and serious like a faulty battery, failing brakes or something you’re not even quite sure of – we can handle it. Our team will happily take a peek at whatever is ailing your vehicle and take the proper steps to restore it to its best working state. It’s so easy to schedule a service appointment for your vehicle, and we’re greatly looking forward to setting up your appointment. Please let us know what we can do for you at your earliest convenience and we’ll get right to work on your car. We’ll make sure we return it to you as quickly as possible so that you can get back on the road and enjoy it for many years to come.